In our last blog posts related to Back to Basics Series we discussed about Virtual Machine Files (Part1), Standard Switches (Part2), vCenter Server (Part 3),Templates (Part4) vApp (Part 5), Migration (Part 6),Cloning (Part 7), Host Profiles (Part 8), Virtual Volumes AKA VVOL's (Part 9) Fault Tolerance (Part10) ,Distributed Switches (Part 11) and Distributed Resource Scheduler Part 12, vCenter Server High Availability (Part 13) and Back to Basics Part -14 Creating Reports in VROPS we also discussed about the various tasks related to building Home Lab Part1, Part 2, Part 3,Part 4 Part 5. In traditional windows based system where the applications, settings, user profiles and user data is tightly coupled with operating system with VMware App Volumes we can separate IT Managed applications and applications suites into application containers which can be used for persisting user changes across sessions. VMware App Volumes is application delivery and lifecycle management tool that can be used by enterprise to build dynamic application delivery system ensuring all the applications are centrally managed. With VMware app volumes we can instantly deliver or upgrade applications to virtual desktop and published application environments in wherein the Applications are stored in read-only virtual disks that can be instantly attach to individual or groups of virtual desktops or users. When working with VMware App Volumes there are various components like App Volumes Manager is a Server VM which helps us to provide dashboard for the administrator to assign app stacks,App Volume Agent reports back to manager and responsible for file system and registry directions,App Volumes database which can be Microsoft SQL or SQL Express database that contains configuration information for AppStacks, writable volumes, users, machines, entitlements, next component on the list is App Stack Volume which is a read-only volume that contains windows applications, Writable Volume which is a user specific volume where the user can preserve data and can be used to store user installed applications and local profile information including application settings, application licensing information, and the last component on the list is Provisioning VM which is a clean Virtual Machine for with App Volumes Agent. 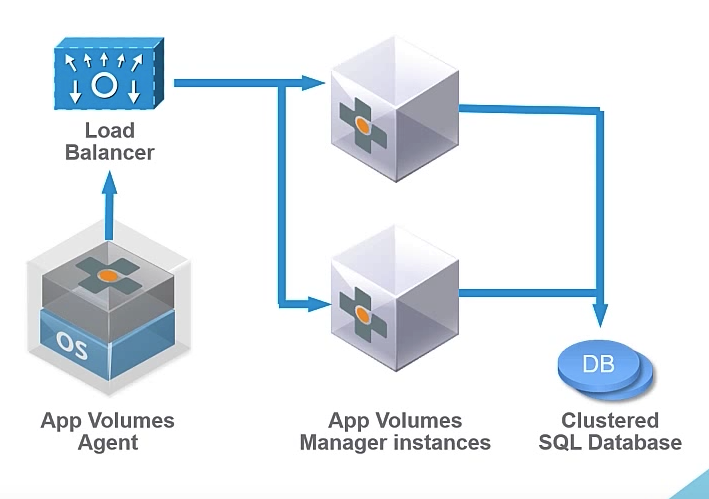 App Volumes technical overview video talks about the various app volumes components/ architecture, the installation and setup and also talks about various app volumes technical scenarios. In App Volume environment there are virtual disks, App Volumes Agent and the base operating system which are containerised in a single C Drive which is visible to user and is unaware about the presence of App Stacks or the writable volume within it, we can always create multiple read only application containers aka App Stacks with single read write aka writable volume. 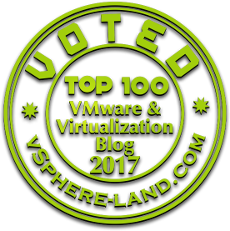 When working with VMware App Volumes we can combine the benefits of both persistent and nonpersistent virtual desktops wherein we can design a nonpersistent architecture while giving their end- users a persistent and customizable experience.